Metal fabrication in Green Bay is a competitive market in which only the best-performing shops earn a reputation for high quality. Titletown Manufacturing LLC is one such shop, having served as a reliable source of metal parts machining in Green Bay and the surrounding area for more than 60 years, is now offering complete project metal fabrication. Titletown Manufacturing also produces brackets, frames, motor mounts and other aspects of automated machinery for industries including defense and fire truck manufacturing, marine, printing machines, packaging machines, paper converting machines and a variety of small OEMs. The company’s workforce is cross-trained on multiple pieces of equipment to ensure high-quality performance on every project. Mazak CNC (computer numerical control) technology provides consistent results, and Titletown Manufacturing’s ability to produce custom machined parts within .0001 tolerance delivers exceptional performance. While some shops in Green Bay offer a limited array of materials expertise, Titletown Manufacturing’s experienced team is proficient with aluminum, brass, bronze, mild steel, plastic, hardened alloys and stainless steels up to RC 65. Titletown Manufacturing’s expertise with aluminum is valued by customers looking for specific metal fabrication abilities. 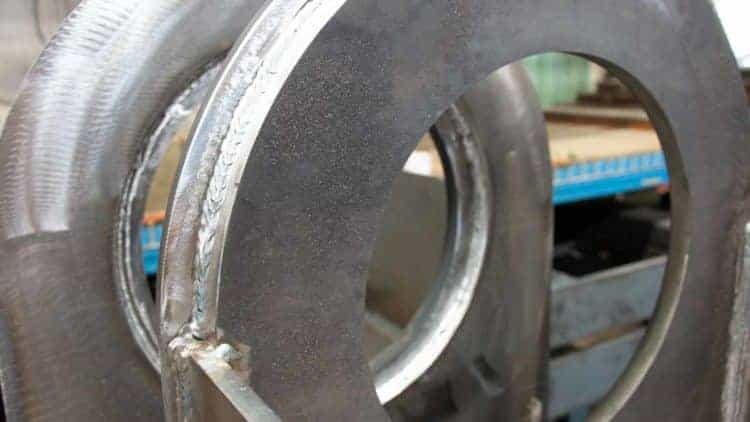 The company’s welders have specialized expertise in welding aluminum, with the Anodize coating process provided by partner vendors when requested. Aluminum features superior electrical and thermal conductivity, and its ability to resist corrosion while providing exceptional strength by weight is valued by a variety of industries.